The animal kingdom sure has some strange stories to tell. We imagine there would be many more if animals could only talk. Yet, every now again we get a sneak peak into a world more complex than we can imagine. 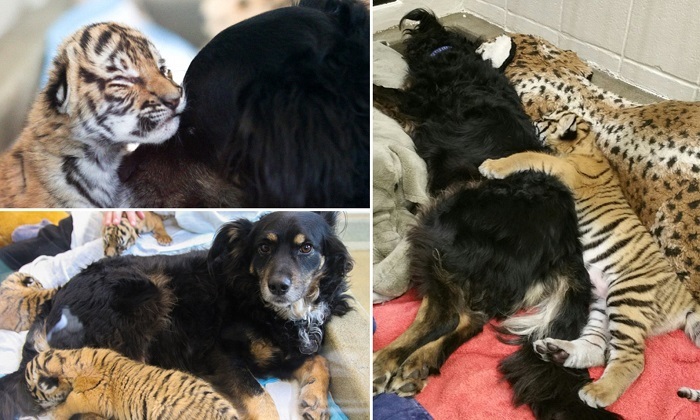 This is a heart-warming story of love and more than one species. It all took place at the Cincinnati Zoo in Ohio. A tiger had just had triplets: Chia, Batari, and Izzy. Unfortunately, for whatever reason, the natural bonding between cubs and mother never took place. 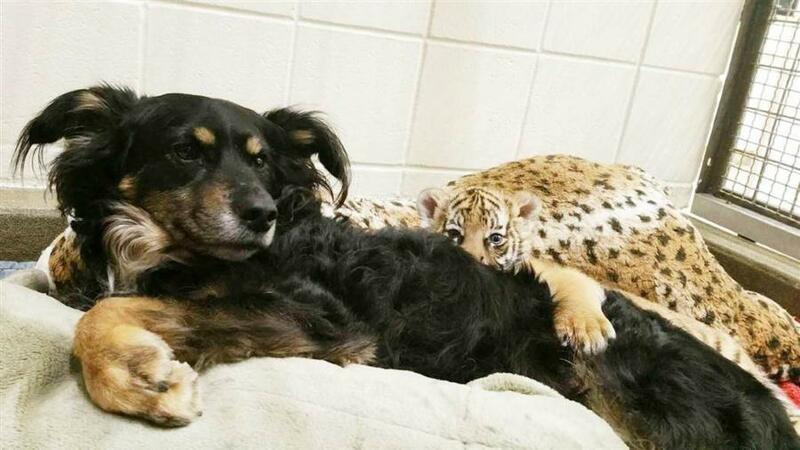 Their mother quickly abandoned them and refused to take even basic care of her cubs. The zookeepers knew that they would need do something soon if they wanted the cubs to live, but what? It’s not like there are tiger fostering agencies that they can call when something like this happens. However, they were aware that in the past it had been possible to get other animals to bond with the young of another species and that if that happened, the cubs would be looked after and cared for. So, the zookeepers sent for Blakely. Blakey is an Australian Shepherd. Strangely, there’s nothing Australian about Blakey or her species. The Australian Shepherd is a purely American dog and was first bred during the 19th century on cattle ranches. In fact, the Australian Shepherd is the 17th most popular breed of dog in the United States today. What makes Australian Shepherds the right kind of dog for this work? Well, they take direction easily, they are known to be highly affectionate and they have a long history of being trained for highly specialist uses. They are also renowned for their intelligence, and while this may come across as destructive in a bored dog, a dog with plenty to do will thrive on new challenges. Why did they choose Blakely? They picked her because she’s had experience in fostering animals in the past. 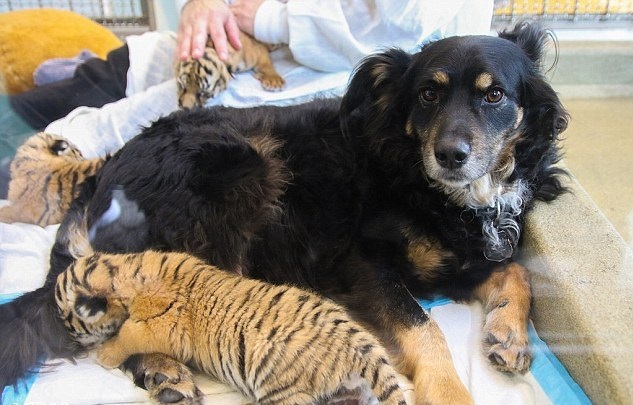 Though it’s worth noting that she’s never fostered anything as unusual as a trio of tigers before. The goods news is that the zookeeper’s plan worked. Blakely and the cubs bonded almost immediately and that means that she will now take on a full role as mother to the cubs. It’s very important, of course, that Blakely provides the cubs with the kind of care that only a mother’s love can give. One of her cleverest tricks is her ability to separate the three tigers when they start fighting. A human handler that tried to do something like this would be hurt themselves and the tigers can’t be allowed to fight too much or they will hurt each other.